“I spy something that is red.” I’m sure you’ve heard of this game before. One person thinks of something in the room and then gives the everyone a clue by saying what color the object is. Everyone starts guessing based on things in that room with the same color. Many people play the I Spy game with children. In our family, we’ve taken things a bit further. 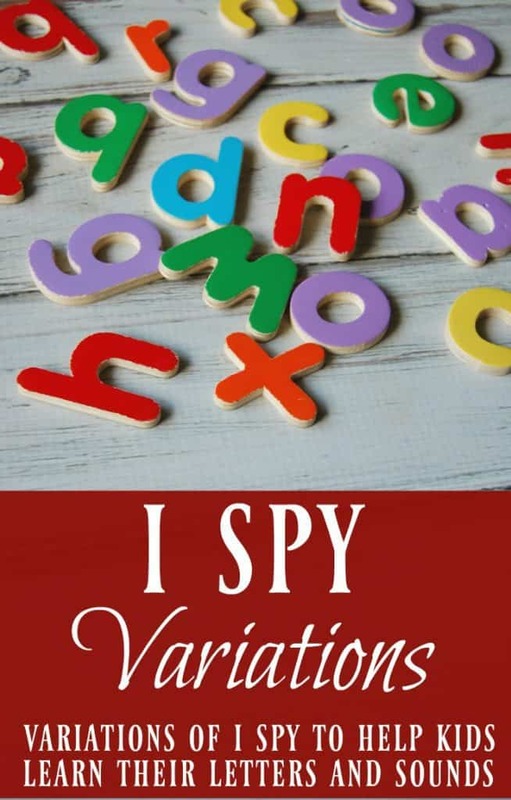 I have found that the variations of I Spy that we play in our family have helped my kids tremendously in their education. Not to mention it is a great way to entertain them in the car while we are waiting for Dad to get back from an errand or waiting while I nurse the baby. I love including I Spy variations for when I’m homeschooling the preschool years. I Spy Something That is Round…. This is very similar to the original version except that it is not a color that we identify the object with but a shape. (round, a circle, square, flat) Example: “I spy something that is round.” The children see a ball in the room and guess “ball”. This teaches children their shapes. I Spy Something That Starts With the Letter…. Much like the original I Spy this game is played by one person choosing an object but instead of saying the color that the object is, you say the letter that it starts with. For example: “I Spy something that starts with the letter “C”. The kids then guess until someone gets the correct answer: “car”. This helps kids learn what letter an object starts with. Obviously this game is very similar to the game above. The only difference is that you do not need to see the object and you do not need to guess the “correct” object. The first one to shout out any object that begins with the proper letter wins and as an added bonus they then get to be the one who gives the next letter. For example, we are in the car parking lot (where most of our games are played) and I say, “I’m thinking of something that starts with the letter “P”. “Porcupine!” (There are obviously no porcupines around) “Good Job, now it’s your turn to pick the letter!” This not only helps with letter association but also develops kid’s imaginations. Same idea as before but with a sound instead of a letter. For instance, I spy something that starts with the sound “KA”. (as in “K” or “C”) The kids guess until the finally spy the “cart” in the parking lot. This game is obviously a bit more advanced but it is wonderful for teaching letter sounds. The game can be made more difficult but using more difficult sounds such as “SH” as in shoe. Once again this game is just like the previous sound game except you do not need to see the object. First one to shout out any object with the proper sound wins! Instead of using the beginning letter, use the ending letter. Example: “I spy something that ends with the letter “N”. Child guesses “Van”. This is much more difficult then the other letter variations as the child needs to think about and even sound out what a word ends with. There really are many different variations that you could come up with. Sounds, letters, numbers (I spy something with 4…), smells (I smell something stinky…), noises (I hear something loud…) The possibilities are endless. The children think they are playing a fun game and they learn at the same time. My only problem now is that any time we are in the car waiting for someone, they insist on play! "I spy with my little eye something that begins with Y"
"No! It's my green balloon at home on the floor." My husband and his sisters still play their version of this game. 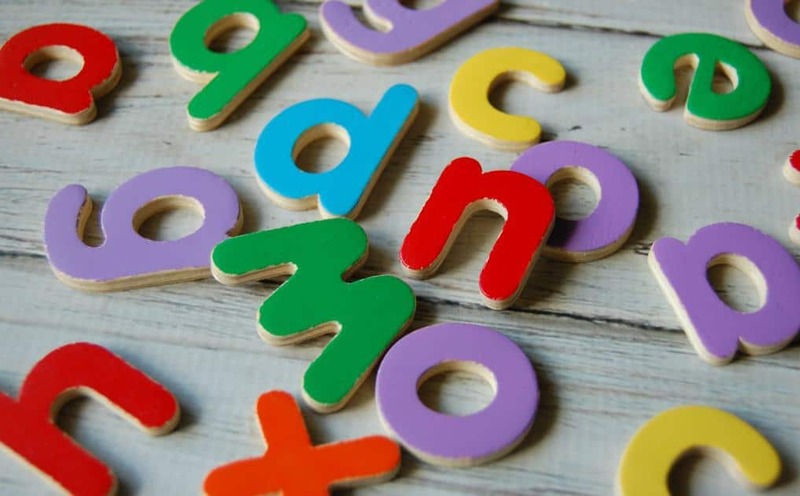 They name a letter, then go by turns naming things that start with that letter until someone repeats a word or can't think of one. We all actually end up laughing so hard playing this game, it generally ends when one of us yells out "no more! no more!" but the game always starts again later. We usually declare the person who came up with the funniest answers as the winner.